Hi and welcome to the kids' page! Buddhist stuff: computer graphics, etc for posting here . . .
better results in 1024 x 786 pixels, you need a browser version 3.0 or higher. 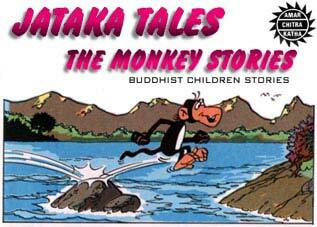 Here's an illustrated Jataka Tale - A Monkey Story (click on the image). 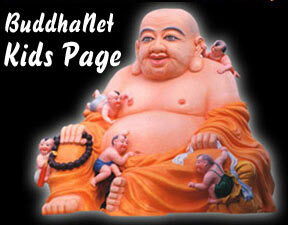 The Bodhisattva is one, who by performing virtuous, kind and intelligent acts, aspires to become a Buddha.